Stunningly gorgeous, the look of this handmade carpet makes it an outstanding one. This is truly "One of a kind". Give a statement to your floor by placing this gorgeous hand-knotted wool rug in your room. This is a highly durable and hand washable rug. "Beautiful design and outstanding look of this carpet that gives a pure traditional look with a modern twist. A calm color combination and soft touch make this rug is "One of a kind". 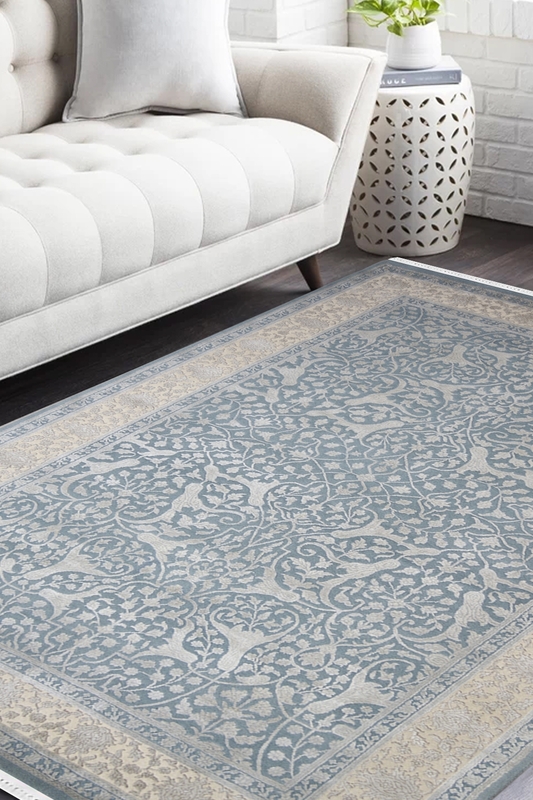 The ground of this rug contains bold and tinny motifs of flowers. It has a beautiful border. The ground is in sky blue color and border is in ivory color.